While most pigs are known for their pink and (mostly) furless skin, the Magnalista pig looks way different than your typical emoji. 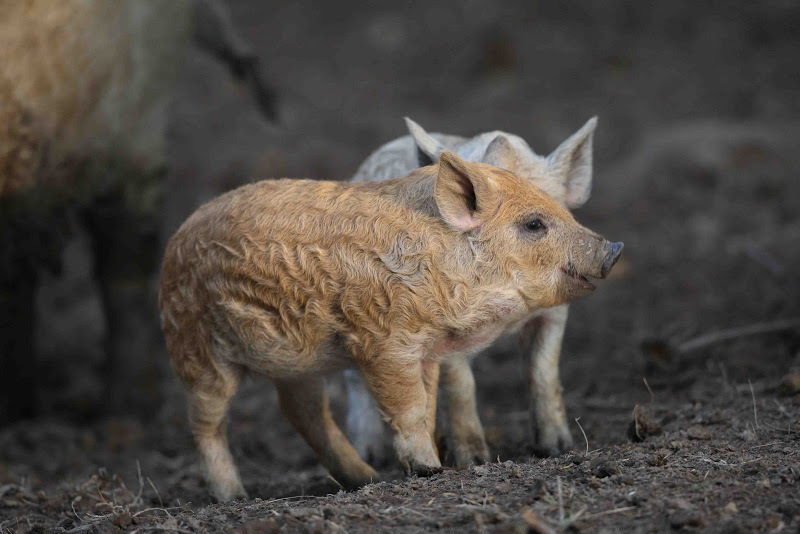 This originally Hugarian breed, which is also called Magnalica or Magnalitza, is a cross between sturdy Hungarian pigs and European Wild Boars (with a sprinkle of a Serbian pig breed on the side). The breed started popping up in the mid 19th century. Because they were easy to raise and grew pretty big, they became popular really quickly. But it's not their easy-going nature that makes them superstars. They also grow this distinct and protective curly coat of fur, which makes them look almost like sheep. 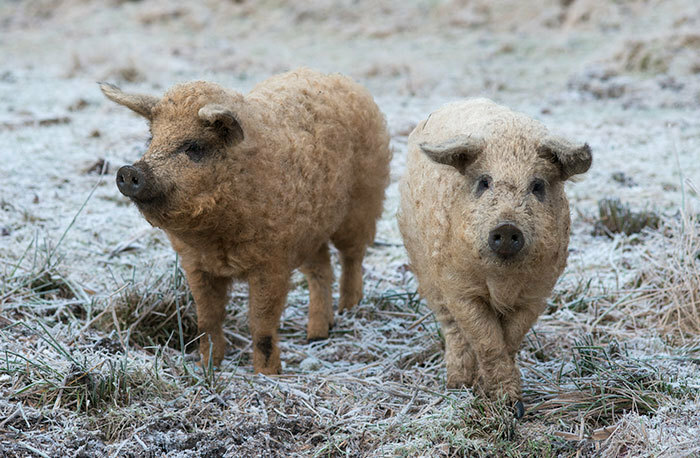 Surprisingly, they're not the only pigs who have ever sported this type of long-haired coat. 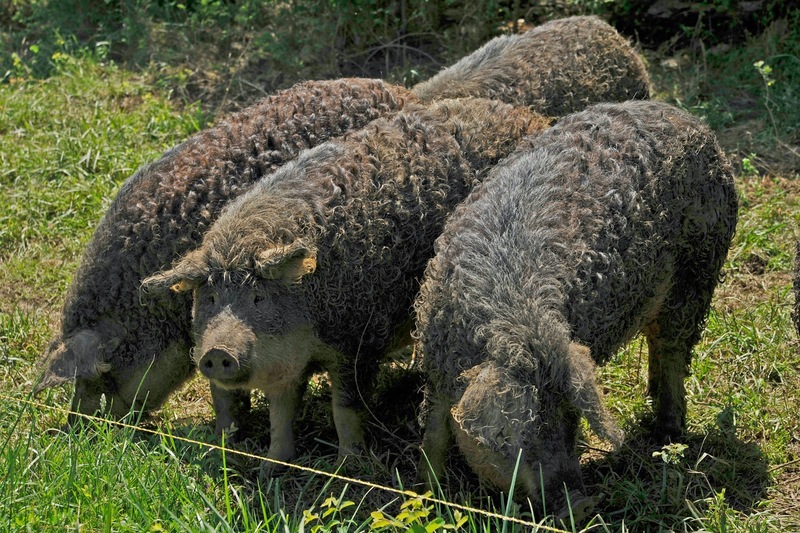 The Lincolnshire Curly-coated pig, a domestic breed in the UK, also had hair on their bodies. But, they were all lost in the 1970s. There are currently three breeds of Magnalista in existence, the Blonde, Swallow-bellied, and Red. 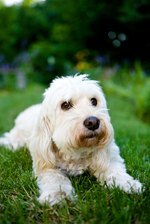 The differences are only aesthetic, with each of the breeds looking like their description. Other "pure bred" breeds of Magnalista, the Black, Wolf, and Baris, have all become extinct. 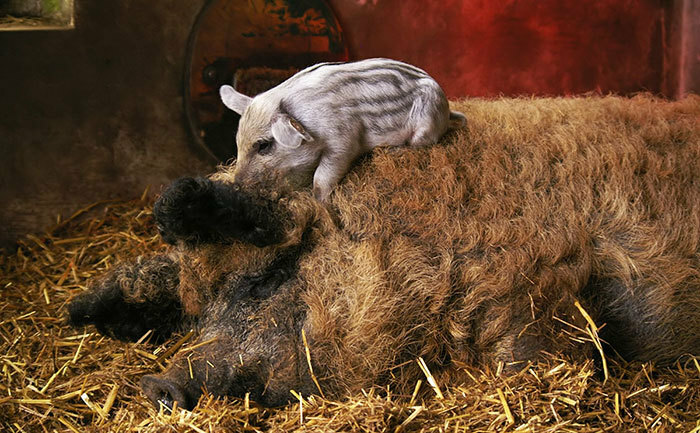 They've resurged in popularity lately, with all sorts of people newly learning that these furry piggies actually exist (and not just in a make-believe land). The pigs are pretty independent and tend to forage for food on their own. And, for those of you wondering, they can actually make pretty delightful pets. Though they are often raised for meat, as many pigs are, these animals will follow and play with you if you raise them to. 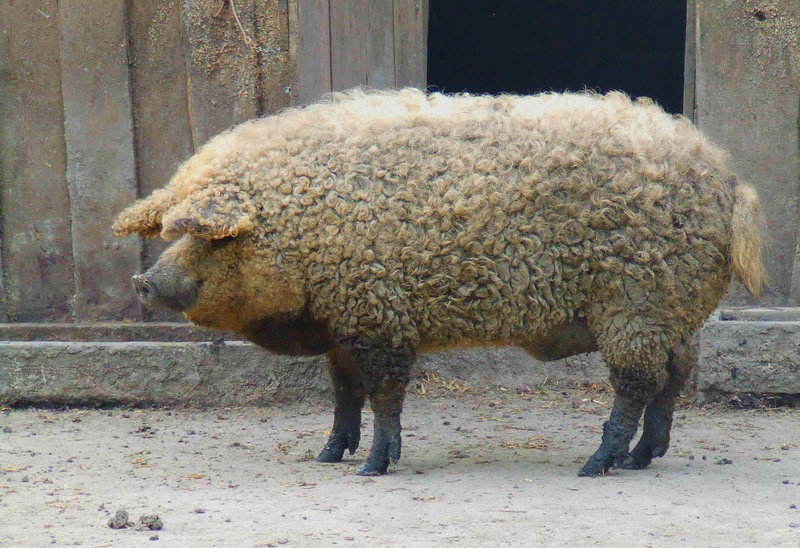 So if you wanted the most distinct looking "dog" in the neighborhood, this furry pig breed is the answer.